The Zed-FULL offers a single solution tool for the Auto Locksmith market. 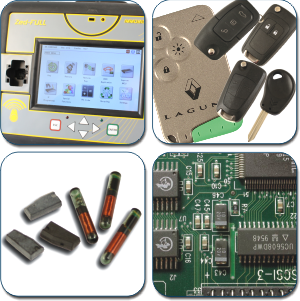 The combination of key cloning, remote cloning, transponder management, eeprom programming, pincode reading and OBD key & remote programming makes the Zed-FULL the most versatile programmer with flexible purchase options. The Zed-FULL users training course offers new and existing customers an ideal understanding of all aspects of the tool, how to navigate the screens, use the software and benefit from the features. The training has a mixture of theory and practical covering the full aspects of the Zed-FULL, with the opportunity to work both on the bench and on a range of vehicles offering solutions to a selection of scenarios. This two day course will give new owners of the Zed-FULL a comprehensive understanding of all the features of the equipment and how to maximise the various software options.